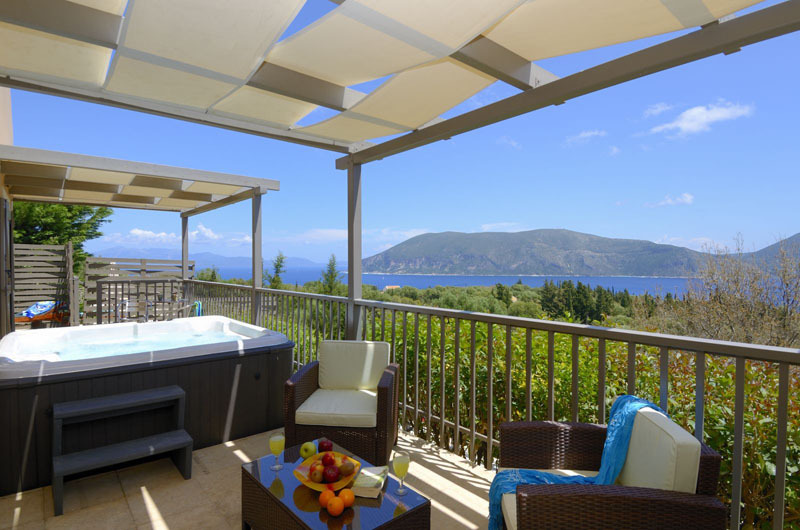 The charming Villa Luna sits nestled between villas Helios and Asteria and is a perfect addition to this lovely collection of villas in Evreti. 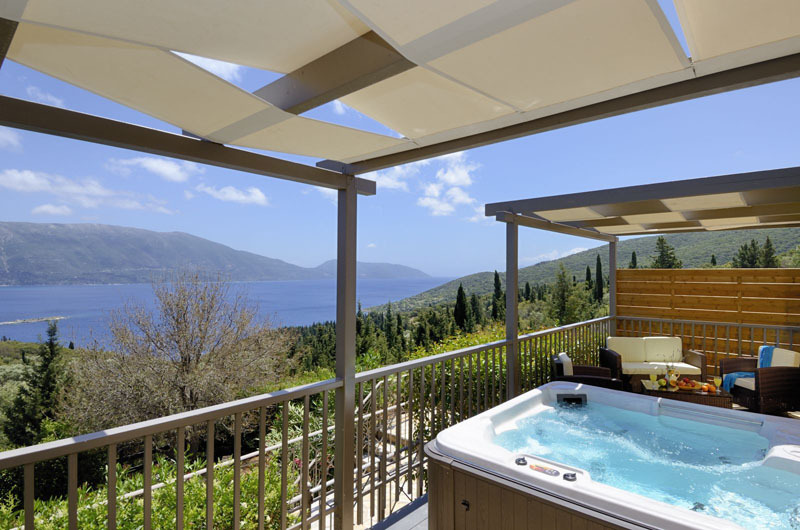 Villa Luna is tastefully furnished to the same high standard as Asteria and Helios and shares the same spectacular views. 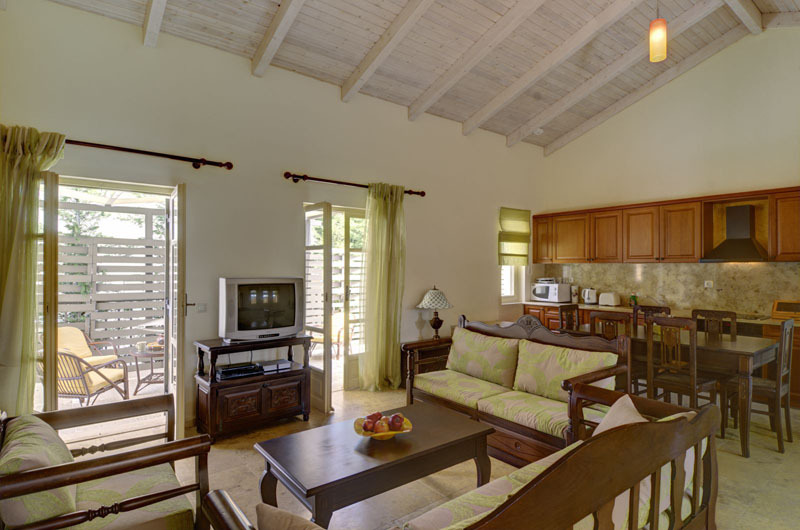 Villa Luna is perfect as a villa on its own or as additional accommodation for the extended family or a group of friends staying at one of the larger villas. 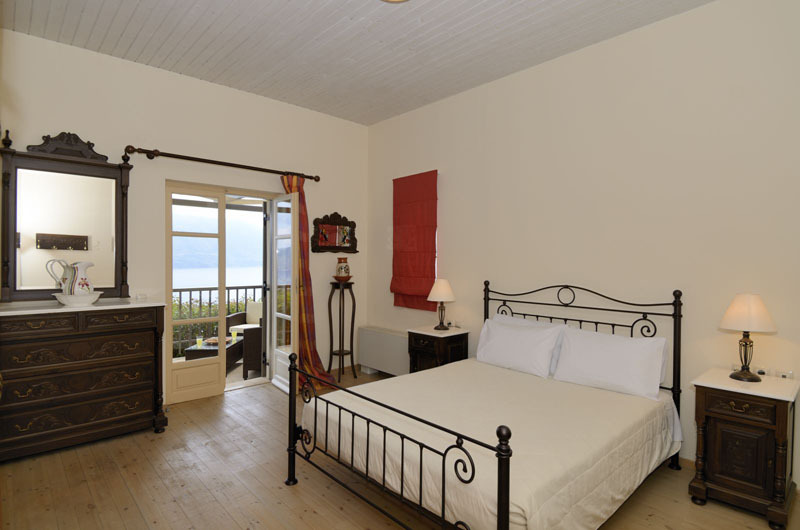 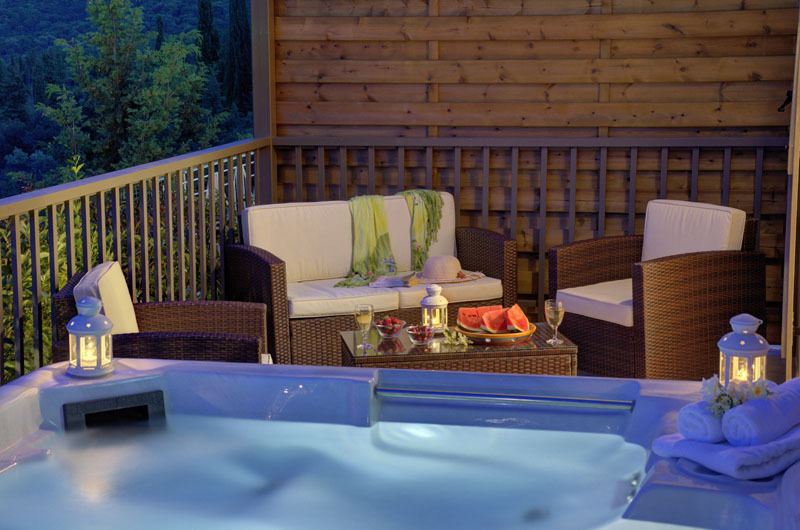 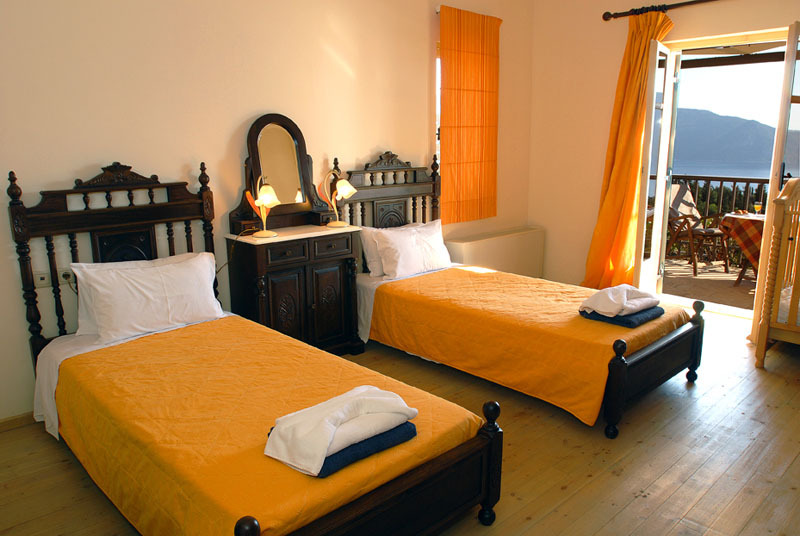 The villa has two air-conditioned bedrooms, one a double with en suite bath and a twin with en suite shower room, both opening out onto the sea-facing balcony. 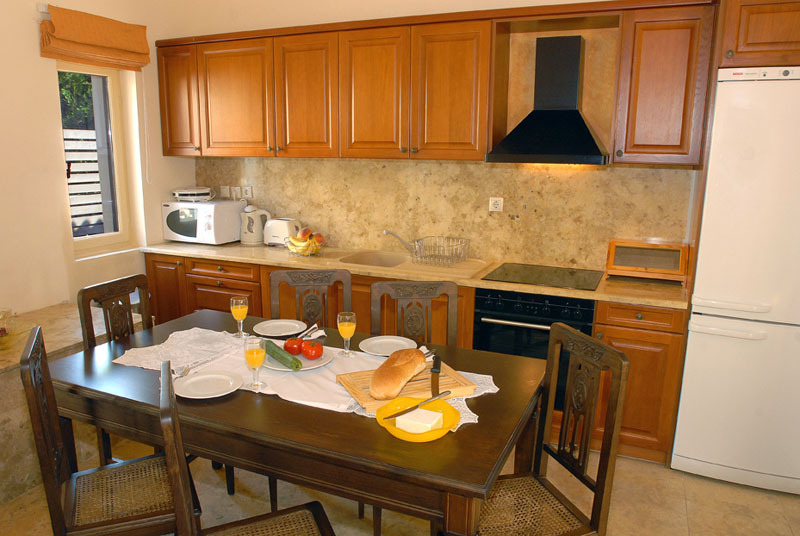 There is a living/dining room with open fire place, fully fitted kitchen and WC. 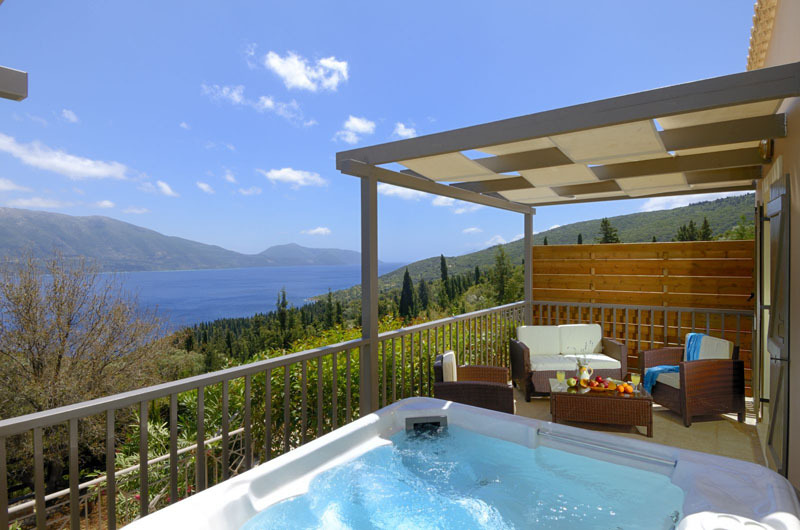 Evreti is one of the oldest hamlets on Kefalonia and Villa Luna is a perfect base for those who want to explore the island or for those who enjoy doing nothing more than relaxing and taking in the breathtaking scenery. 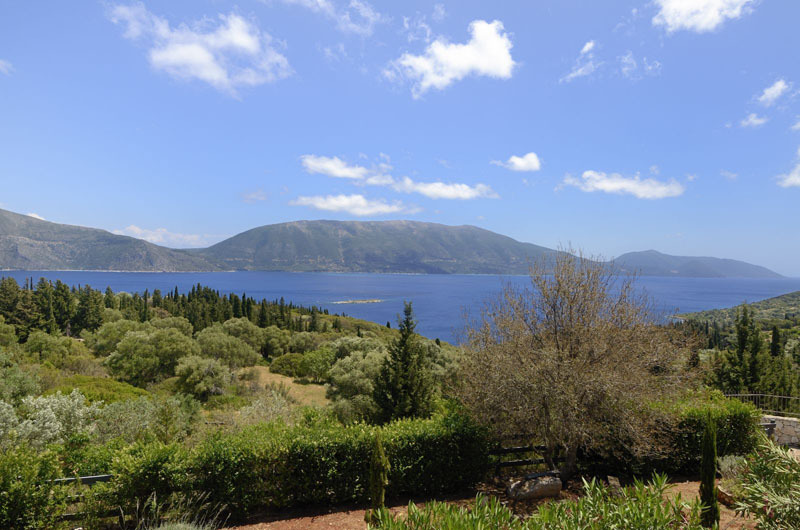 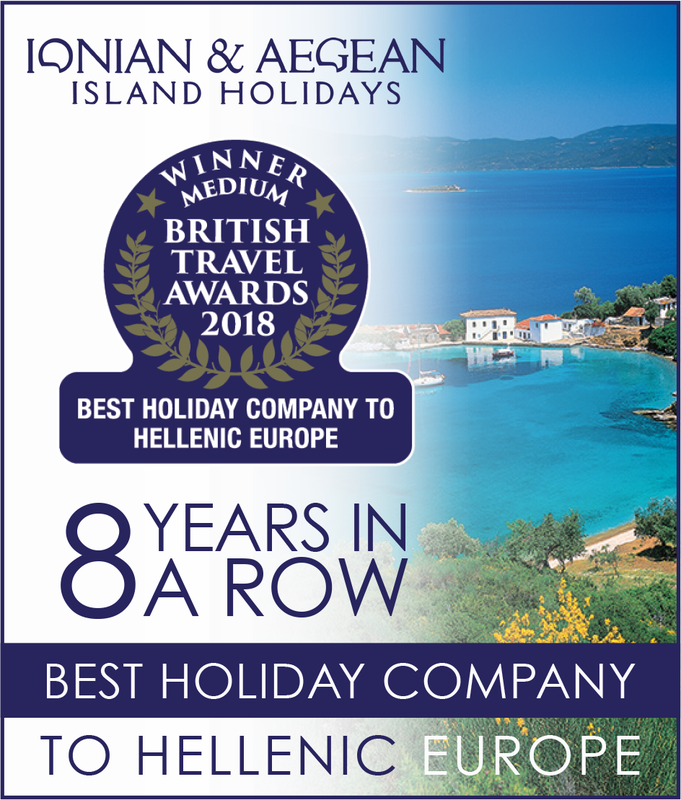 With the beautiful Foki Bay a mere seven minute drive and the stunning harbour front of Fiskardo a further five minute drive everything is within easy reach. 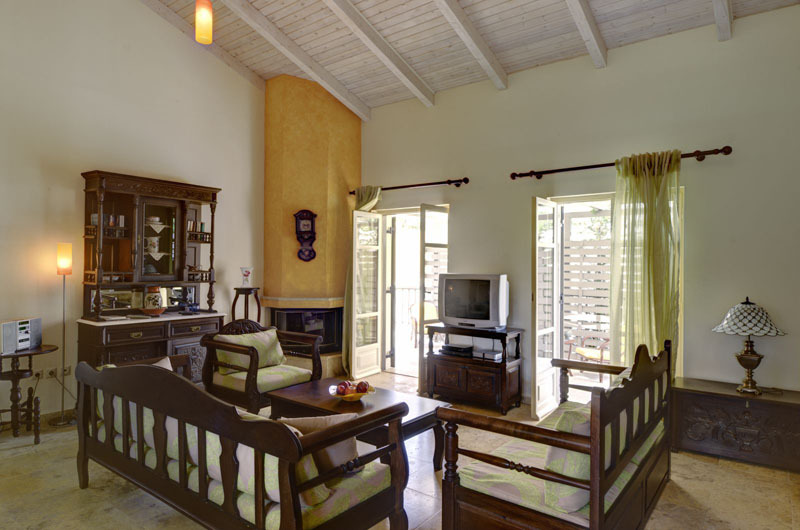 A stay at Villa Luna gives you the opportunity to take advantage of all the island has to offer.